Several companies are celebrating Earth Day this year. What will your company do on Earth Day? 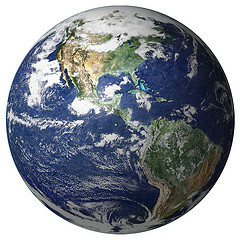 The first Earth Day was April 22, 1970 and since then it has become a mainstream event. Across the globe people and businesses are making a difference by supporting and participating in practices to protect the environment. Here are some ways you can celebrate Earth Day while engaging your customers and clients. Encourage people to re-use. Hand-out eco friendly tote bags. Customers can use them while shopping. Re-usable mugs and water bottles work well for restaurants, concession stands, and events. They make great souvenirs. Everybody loves something free. Something like an earth friendly candle or lip balm would make a good giveaway to customers who sign-up for your newsletter or spend above a specific amount for your goods/services. We would love to hear from you. Tell us how you are celebrating Earth Day! Leave a comment!